The John S. Davies Singers ensemble was formed in 1978 and made its debut at the Fishguard International Music Festival in that same year, with a programme which set the pattern for the future repertoire – classical compositions and new works, beginning with John McCabe’s Reflections of a Summer Night. A later major commission dedicated to John S. Davies was Alun Hoddinott’s Mass shown on S4C from Llandaff Cathedral. There have been many appearances at the Fishguard International Music Festival,the latest in 2014, also throughout Wales at other festivals in Gregynog, Llandeilo, Tenby, St. Davids and Milford Haven. Further afield the Singers have performed in London, Ludlow, Bath and Rome. 2014 was the Singers’ 30th anniversary and it began with the traditional afternoon New Year’s Day concert,then later other performances at Easter and at three summer music festivals in Wales, two accompanied by the Westward Chamber Orchestra in music by Haydn, Vivaldi and Handel, concluding with a performance of the latter’s Messiah. The size of the group is flexible according to the music performed and has several members following solo careers, while others are in colleges and cathedrals or hold professional posts in the music field. Rehearsals take place in Cardiff once a month and are demanding and intensive. Soprano Alys Mererid Roberts from Rhoslan in north Wales is a recent graduate of Royal Academy Opera. Alys started singing in the Welsh Folk tradition at local and National Eisteddfodau around Wales. She discovered the world of opera at university and has since become hooked. Previous roles include Eurydice Orfee aux Enfeers, Vixen Příhody lišky Bystroušky, Amore L’incoronazione di Poppea, Barbarina Le Nozze di Figaro (RAO), Yum Yum The Mikado (Charles Court Opera) Sandmann and Taumann Hänsel und Gretel and Bastienne Bastien und Bastienne (Pop up Opera). Alys has also toured Mid Wales Opera and worked with WNO singing the role of a Businesswoman in Gair ar Gnawd by Pwyll ap Sion and creating the role of Muse in WNO’s Hedd Wyn by Stephen McNeff. Alys has also worked with Opera Holland Park, singing Sopranino in their La Rondine as well as Tweedle Dee in their Alice's Adventures in Wonderland last year. Alys is currently a Young Artist at Opera Holland Park singing Annina in their La Traviata this summer. Polly Leech is a mezzo-soprano from Wiltshire, currently training as a 2017/18 a Young Artist at the National Opera Studio. She graduated last year from the Royal College of Music, having gained a postgraduate Masters in Vocal Performance (Distinction) under vocal professor Amanda Roocroft and vocal coach Christopher Glynn. She was the Theo Max van der Beugel Scholar and was also supported by the Josephine Baker Trust. Polly is a Britten-Pears Young Artist. Philip Lancaster is a composer, poet, singer and academic. Having been diverted down the channels of academic study and scholarship, since 2011 Philip has been rekindling his own original creativity, and is quickly establishing himself as a composer of serious and original voice. A major chamber oratorio, War Passion, was premiered at the Three Choirs Festival in July 2016, and recent songs have this last year been performed at the Ludlow Weekend of English Song, the St. Marylebone Festival, and Song in the City. A short collection of Philip’s original poems was published by subscription in 2014, and two further works are in preparation: a major single poem, Sonata, and a full collection, Rain. Welsh harpist Hannah Stone is former-harpist to H.R.H. The Prince of Wales. A national and international Eisteddfod winner, Hannah was a major prize winner in the Franz Joseph Reinl Competition in Vienna, the Camac Harp Competition in London and the International Harp Competition. Hannah has performed at many notable venues including the opening gala performance for the Singapore Sun Festival at the Esplanade Theatre with Dame Kiri te Kanawa, the Barbican Centre, LSO St Luke’s, St John’s Smith Square, the Museum of London, St David’s Hall and the Wales Millennium Centre in Cardiff and a recital at the British Embassy in Tokyo. Annette Gregory is a jazz singer who is blessed with incredible vocal tones that are rich, smooth and full of soul. Annette grew up in Manchester in a Jamaican family where ska and country music were regularly played. Annette was definitely born to sing! At the age of four, she was put in charge of the record player and would sing along to Jim Reeves’ The Old Wooden Cross. After singing for many years in different bands, it was a chance encounter which led to Annette joining a community jazz band as their principal vocalist which set Annette on the road to becoming a jazz singer. Annette found her true voice after hearing Ella Fitzgerald, Annette was not just inspired by Ella sound but by the sound of jazz. Since then Annette has recorded her first EP Living the Dream, in 2014. The Allegri Quartet, in its 65th year, is Britain's oldest chamber group. Founded in 1953 by Eli Goren and William Pleeth it has played a key role in the British musical scene, working with composers such as Benjamin Britten, Michael Tippett, Elizabeth Maconchy, John Woolrich, Peter Fribbins, Anthony Payne, James MacMillan, Matthew Taylor and most recently Alec Roth, resulting in new commissions and recordings. During recent seasons Peter Donohoe’s performances included appearances with the Dresden Staatskapelle with Myung-Whun Chung, Gothenburg Symphony with Gustavo Dudamel and Gurzenich Orchestra with Ludovic Morlot. He also performed with the Netherlands Radio Philharmonic Orchestra, Royal Philharmonic Orchestra and played both Brahms Concertos with the Vancouver Symphony Orchestra. Last season his engagements included appearances with the City of Birmingham Symphony and Helsinki Philharmonic Orchestras and an extensive tour o South America. He also took part in a major Messiaen Festival in the Spanish city of Cuenca, to celebrate the 100th anniversary of the composer’s birth. Please note that Peter Donohoe will be performing with Allegri String Quartet in concert on Wednesday 18th July, and in a solo piano performance on Thursday 19th July. Huw Tregelles Williams graduated with first class honors followed by an MA from the University of Wales, and became Head of BBC Music in 1986, and Director of the BBC National Opera of Wales in 1992. He has been on international tours to major European centers, the USA and Japan, producing several series for BBC1 and BBC2 network. As organ recitalist he has travelled to Australia, the USA and Scandinavia. Huw is a former member of the Arts Council of Wales and a fellow of the Welsh College of Music and Drama. He has served as adjudicator at the BBC and Audi Young Musician Finals, at Llangollen and National Eisteddfodau, and was appointed O.B.E. in the 1998 New Year’s Honors. Please note that Huw Tregelles Williams will be performing in concert with the John S. Davies Singers on Saturday 14th July and in a solo organ recital on Friday 20th July. 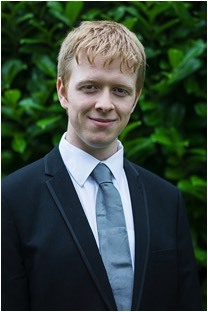 Tom Primrose is a British accompanist, conductor, and coach based in London. He is mainly known for his work in the field of vocal music, working with opera, song and choral repertoire throughout the UK and across Europe. He studied at Worcester College Oxford and the Royal Academy of Music, during which time he won a number of prizes for piano accompaniment. Luke Jones is a Welsh pianist. Originally from Wrexham in North Wales, he started playing the piano at the age of 5 and made his debut recital at the Wrexham Arts Centre aged 10. Since then he has performed all over Britain in venues such as Eaton Square - London, Dora Stoutzker Hall - Cardiff, Barber Institute - Birmingham, Pump Room - Bath etc. He has also performed in Italy, Austria (Wienersaal - Salzburg), Majorca and Slovenia and has won prizes in competitions around Europe notably 1st Prize in "Aci Bertoncelj" International Piano Competition, Slovenia. 1st Prize in "Section A" Chopin-Roma International Piano Competition, Italy, and 3rd Prize in the Manchester International Concerto Competition, UK. He was also the recipient of the 16-19 'Blue Ribbon' Instrumental Award at the National Eisteddfod in Wales. Most recently, Luke was awarded the RNCM Chopin Prize for his performance of the 12 Etudes, Op.10 and the Marjorie Clementi Memorial Award for having the highest final recital mark in his year. Furthermore, he has had broadcasts of his performances on BBC Wales Radio, S4C Television, Radio Vaticana and Telepace in Italy. Eilir Owen Griffiths is one of Wales’ most dynamic choral conductors, an established music director and one of the most exciting Welsh composers of his generation. With over 15 years’ experience in the music industry he has conducted choirs such as CF1, Côr Godre’r Garth, Côr y Drindod and The Cardiff Blues Choir, with whom he has attained considerable success in competitions and concerts around the World. He is associate conductor of the British Sinfonietta and is a regular contributor to concert platforms and musical events in the UK. His work as a conductor has seen him travel to Ireland, Germany, Poland, France, India and the United States. At the age of 30, Eilir was appointed the youngest ever Music Director of the Llangollen International Musical Eisteddfod, where he spent six very successful years. He is a Senior Lecturer in the Performing Arts and Course Director of the University of Wales Trinity Saint David Performance Centre as well as Artistic Director of the Trinity Saint David Festival and International Voice Award which is now in its 12th year. Robyn Lyn Evans is from Ceredigion in mid Wales and is a postgraduate of the Royal College of Music, London and graduate of Trinity College Carmarthen and recipient of the Stuart Burrows bursary. Robyn’s singing career started in the Eisteddfod competitions of Wales with highlights including the National Eisteddfod of Wales scholarship, International Young Singer of the Year Llangollen International Eisteddfod, Osborne Roberts Memorial Prize, Lampeter Eisteddfod Blue Riband; runner-up W Towyn Roberts Memorial Scholarship and culminating with the David Ellis Memorial Prize in 2007. Quartet19 was formed in 2015 by Luke Baxter, Iolo Edwards, James Harrison and Jemma Sharp while studying at the Royal Welsh College of Music and Drama (RWCMD). They have delivered concerts across the UK to a diverse range of audiences and performed a vast array of repertoire - from family favourites to contemporary works by John Cage and Steve Reich. Quartet19 is a recognised group as part of the RWCMD ‘Hire a Performer’ scheme meaning they are promoted by the college to provide performances in the community for various occasions. In addition to this, the quartet also work with a number of composers from the college who continue to write exciting new music for the group to perform. The quartet works closely with Children’s Musical Adventures. This is a company which aims to inspire as many young children as possible to engage in music - through workshops in schools as well as relaxed family concerts. Both of these the quartet thoroughly enjoys being a part of. Whilst collaborating with O Duo (Owen Gunnell and Oliver Cox), the quartet has produced family concerts and workshops both within college and more recently performed with Owen at the Summer Cambridge Music Festival. Based in Cardiff, Quartet19 are proud members of Live Music Now Wales. They enjoy working closely with the organisation to deliver interactive concerts in care homes and schools across Wales. Carys and Alis are a Flute and Harp duo, established in 2013. Winners of the 2015 McGrennery Chamber Music Prize, this duo has a wealth of experience playing at functions, weddings and recitals. They performed for the Welsh Assembly Members as part of the Senedd’s Royal Opening in 2016, and have performed at venues such as the National Museum of Wales, Wales Millennium Centre and Cardiff Castle. As artists on the Music in Hospitals Scheme, Carys and Alis enjoy outreach work in the community, often playing for dementia patients and those with special needs.